The 2019 Volkswagen Arteon is already on sale in Europe, and buyers in Canada who have been dreaming about VW’S latest mid-size sedan with a coupe design will be very happy to know that the German automaker confirmed it will be coming to Canada. Unveiled to Canadians in Toronto in February, the brand new Arteon is set to become one of the most anticipated models of the upcoming year. The 2019 Volkswagen Arteon is simply stunning. No matter which angle you use to look at it, Volkswagen’s midsize sedan is breathtaking. It will replace the Volkswagen CC when it hits the market sometime later this year. 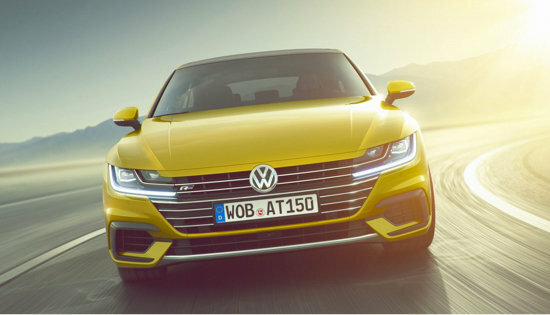 Built on VW’s modular MQB platform, the new Volkswagen Arteon will be powered by a 2.0-litre, turbocharged four-cylinder engine set to deliver 268 horsepower and 258 pound-feet of torque. This new engine will be paired with an 8-speed automatic transmission, and 4Motion all-wheel drive will keep you stable when the road gets slippery. We don’t know the Arteon’s price just yet, but we do know that it will be packed with features included heated leather seats, cooled seats, a three-way climate control system, and a lot more. To learn more about the 2019 Volkswagen Arteon, contact us today at Clarkdale Volkswagen.